Doesn’t it seem a little McChurch to offer sermon outlines for sale? Shouldn’t a local pastor already be equipped to preach on prayer from the Holy Bible? Does the local pastor need to spiritually lead his flock to the cineplex? On the eve of the release of War Room, I wrote this piece to accompany my earlier review of that film. This article includes a listing of War Room’s many companion products, which have been made available through LifeWay Christian Resources. 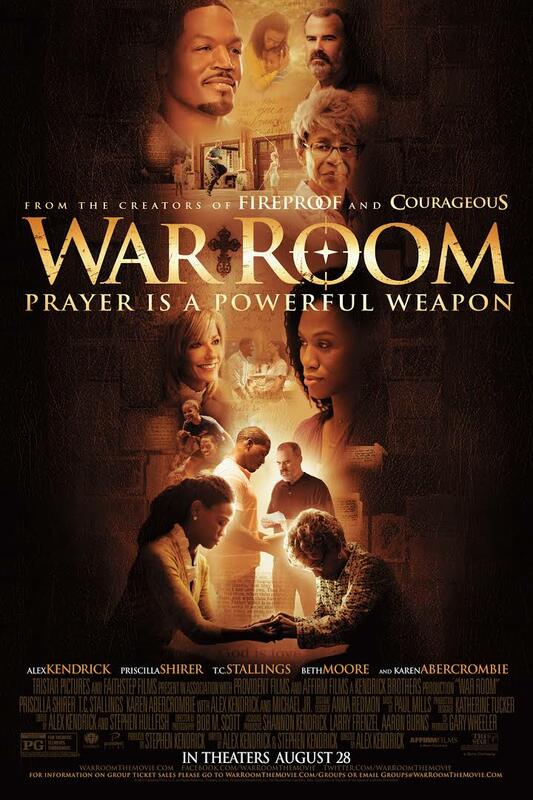 War Room has been heavily promoted by LifeWay representatives throughout the United States. Local Baptist missions association directors, in conjunction with LifeWay representatives, have encouraged churches to purchase blocks of tickets or even rent out entire theatres for showings of War Room. During the past few months, free previews of the movie have been offered to key leaders in local churches in order to create a buzz for the film. Tomorrow War Room will hit theatres. Its many companion products should appear at a church near you shortly thereafter. This kit includes a leader guide for planning a War Room themed Bible Study. It also includes Sermon outlines so that pastors can preach the theme of War Room from their pulpits. The War Room Bible Study - $24.99 for the Leader Kit and $7.99 for participant study books.